For 2018, Lexus introduced the RX 350L midsize crossover as an extended-length version of the regular RX 350. It also comes in a hybrid version, known as the RX 450hL. For the first time in its 20-year history, the popular Lexus midsize crossover known as the RX now comes in two sizes, with the addition of the RX 350L/RX 450hL for 2018, providing seating for up to seven. That brings the RX into line with its Toyota first cousin, the Highlander, which has long been available with three rows of seating. The regular-length RX 350 and RX 450h remain in the lineup for customers who don’t particularly want three rows of seating. 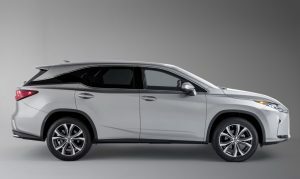 Lexus says it extended the RX body length by 4.3 inches at the rear and made the tailgate glass more vertical to make room for the third-row seat and give the rearmost passengers adequate headroom. On the regular-length RX models, the tailgate glass is sharply raked. 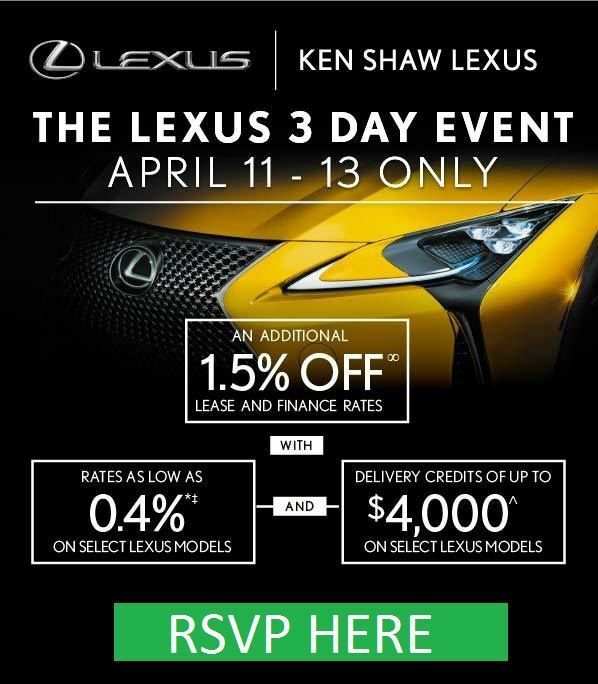 Prices for the 2019 gasoline-only models begin at $47,770 (plus $1,025 freight) for the base front-wheel-drive RX 350L and $52,785 for the uplevel RX 350L Luxury model; $54,185 for the base RX 350 L all-wheel drive; and $54,185 for the RX 350L Luxury AWD. Hybrid models start at $50,720 for the base RX 450hL and $54,655 for the Luxury version. All-wheel drive is standard on the hybrids, with an electric motor providing power to the rear wheels while the front wheels have gasoline and electric power. The L models come standard with seating for seven – two in front, three in the middle and two in the rear – but can be configured for six by replacing the three-person second-row bench seat with a pair of captain’s chairs. That arrangement makes it easier to get into the third row from the middle of the second row. Lexus introduced the RX line as the first luxury crossover on the market in 1998, basing it on the Toyota Highlander. Unlike the Highlander, though, the RX had never been available with a third-row seat until now. Just as with the regular-length RX, the RX L models come with premium amenities such as leather upholstery (first and second rows only), and a long list of standard features even on the entry-level models. The RX 350L comes with the same 3.5-liter V-6 gasoline engine used in the RX 350, with 295 horsepower and 267 foot-pounds of torque. Unlike many luxury vehicles, the RX 350 is designed to use either regular gasoline or premium, but using regular might lower the horsepower and torque ratings slightly. The published numbers are based on using fuel of 91 octane or higher. The engine is connected to an eight-speed automatic transmission, and it comes with Drive Mode Select, which gives the driver a choice of Normal, Sport and Eco driving modes. The main function is to change the shift points of the transmission to either maximize acceleration or fuel economy. Normal is in the middle of the range. EPA ratings for the RX 350L are 19 mpg city/26 highway/22 combined for the front-drive models, and 18/25/21 for all-wheel drive versions. While front drive is standard, all RX 350 L models are available with the Lexus Dynamic Torque Control All Wheel Drive. It defaults to front drive until slippage is detected, at which time some of the power is sent automatically to the rear wheels. With the standard seven-passenger seating, there is a middle-row 40/20/40 split-folding bench seat. To give passengers access to the third row, there are levers on each side that fold the second seat forward. Lexus says it designed the third row to have the same space and comfort as the middle row, making it suitable for adults – at least those who are nimble enough to go to the third row from the middle. The middle row is slightly higher than the third, allowing for more rear foot room. Standard is three-zone automatic climate control, and even third-row passengers have their own heating and air conditioning vents. With the extended body length, there is more room in the cargo area (with the third-row seat folded) than in the regular RX models. 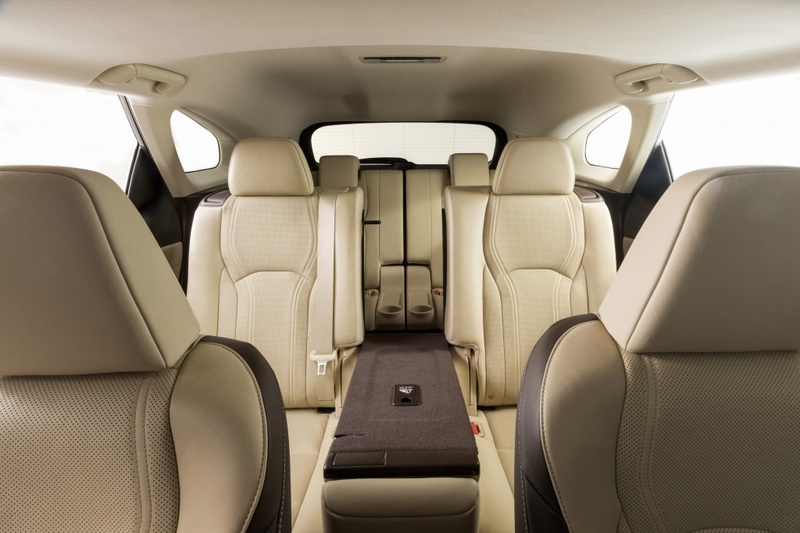 The RX 350L has 7.4 cubic feet of cargo space behind the third row, 23 cubic feet behind the second row with the third-row seatback folded, and 58.4 cubic feet behind the front seats with both rear seats folded. A power-folding third-row seatback and power tailgate are standard on the RX L models; for $200 extra, there is a hands-free tailgate opener option, included on our tester. There is also a flat load floor behind the folded third-row seat, along with two third-row cupholders, a stowable cargo cover, and covered slide rails. The all-new three-row Lexus RX 350L midsize crossover arrived for 2018, providing seating for up to seven passengers for the first time in the history of the RX product line. Beginning with the 2018 model year, all RX/RX L models come with Enform Safety Connect and Enform Service Connect complimentary for the first 10 years of vehicle ownership. Among standard safety features are 10 air bags including dual-stage driver and front passenger; driver and front passenger knee air bags; front side air bags; rear side air bags; and full-length roof-mounted side-curtain air bags for all three rows of seats. Four-wheel antilock disc brakes are standard, along with Electronic Brake force Distribution and Brake Assist, traction control. Vehicle Stability Control and Hill-start Assist. To prevent accidental acceleration, the Toyota Smart Stop Technology automatically cuts engine power if the brake and accelerator pedals are pushed at the same time. There are also active front headrests and a rearview camera system, with an available Panoramic View Monitor. Also standard are 18-inch alloy wheels, 10-way power-adjustable front seats with lumbar adjustment and memory (which also includes the outside mirrors and steering wheel), power/folding outside mirrors, aluminum roof rails, acoustic glass windshield, pull-down rear armrest with storage box and dual USB port, leather-wrapped tilt/telescopic steering wheel with audio controls, and Lexus Display Audio with eight-inch color display and nine speakers. A Premium Package ($810 on the base model) brings a moon roof and wood trim, while the Luxury Package ($5,015 on base, included on the Luxury model) brings the contents of the Premium Package, along with 20-inch super chrome wheels, heated maple-trimmed steering wheel, semi-aniline leather first- and second-row seats, manual rear door sun shades, LED ambient illumination, four-way power lumbar support, front seat cushion extender, laser-cut gray Sapele wood with aluminum and LED illuminated door sills. A Navigation Package ($2,145) brings a 12.3-inch display, Remote Touch Interface, advanced voice control, Lexus Enform App Suite and Destination Assist, HD radio with iTunes Tagging and more. There’s also a 15-speaker Mark Levinson Surround Sound system with Navigation ($3,225) available. The RX 350L has the large Lexus signature spindle grille, along with L-shaped LED headlights surrounded by 18 individual LEDs, used as turn signals, and Intelligent High Beams. 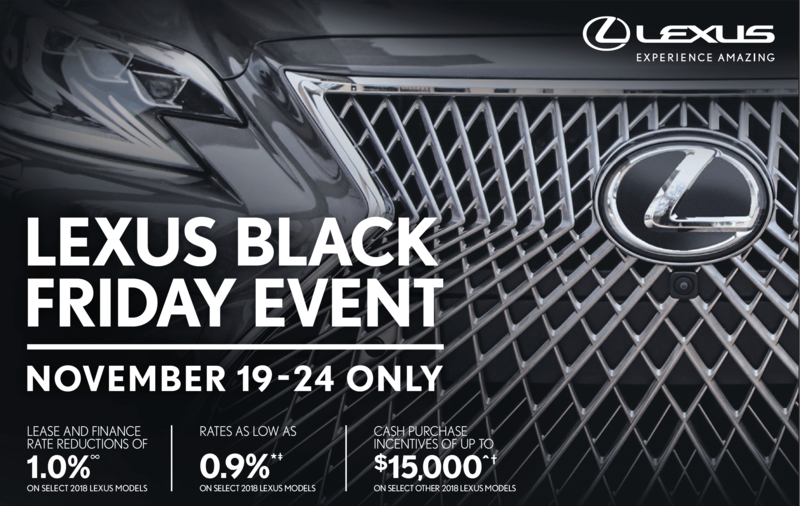 The Lexus Safety System-Plus has such features as Pre-Collision Braking with Pedestrian Detection, Lane Departure Alert with Steering Assist, and Auto Braking, using audio and visual alerts and automatic application of the brakes when a possible collision is detected. The system also includes All-Speed Dynamic Radar Cruise Control. Also, LED L-shaped combination taillights wrap around the rear fender to the chrome finisher across the middle area of the liftgate, and blacked-out C-pillars – the supports behind the rear doors — give the RX a floating-roof look. We had plenty of power with the V-6 engine, even on the mountain roads we encountered on a weekend family jaunt. 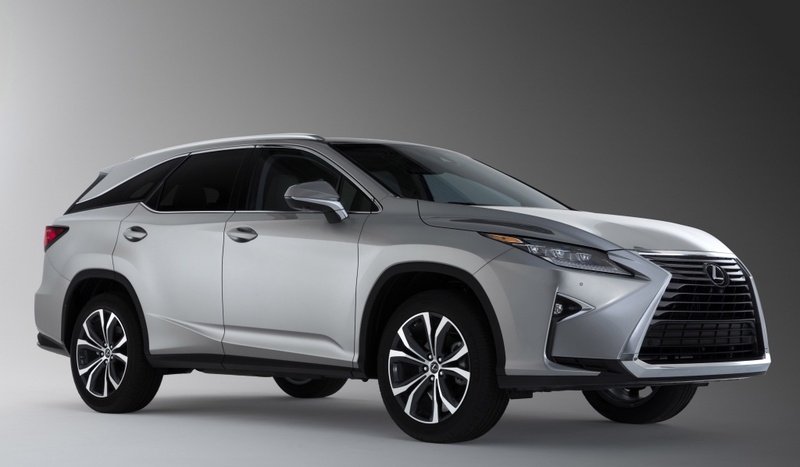 Top speed is 124 mpg, and the front-drive RX 350L can go from zero-60 mph in 7.9 seconds. For this report, we tested the base 2018 RX 350L model with the Matador Red Mica exterior and Ivory interior with aluminum and wood trim. Total sticker price for our 2018 model was $52,015, including $975 freight and options. The 2019 price would be just slightly higher. Our tester included the Navigation Package ($2,120) with 12.3-inch display audio system and 12 speakers, Blind Spot Monitor with Rear Cross Traffic Alert ($1,385), and heated/ventilated front seats ($640), as well as the hands-free tailgate opener. The automotive columns of G. Chambers Williams III have appeared regularly in the Express-News since 2000. Contact him at chambers@auto-writer.com, or on Twittter @gchambers3. The package: Premium, midsize, front- or all-wheel-drive, four-door, six- or seven-passenger, V-6 gasoline-powered crossover utility vehicle. Highlights: This luxury crossover is a new extended-length version of the standard Lexus RX 350, which gives it room for the first third-row seat ever offered in the RX line. It offers a variety of standard and optional premium features, along with comfortable seating even in the third row, decent fuel economy and good power. Negatives: Cargo space is limited with the third-row seatback in place. Curb weight range: 4,464-4,597 pounds. Cargo volume: 7.4 cubic feet (third seat in place); 23 cubic feet (third seat folded). EPA fuel economy: 19 mpg city/26 highway/22 combined (front-drive); 18/25/21 (all-wheel drive). Fuel capacity/type: 19.2 gallons/unleaded regular acceptable. Main competitors: Infiniti QX60, Acura MDX, Audi Q5, Cadillac XT5. Base price range (2019): $47,770-$54,185, plus $1,025 freight. 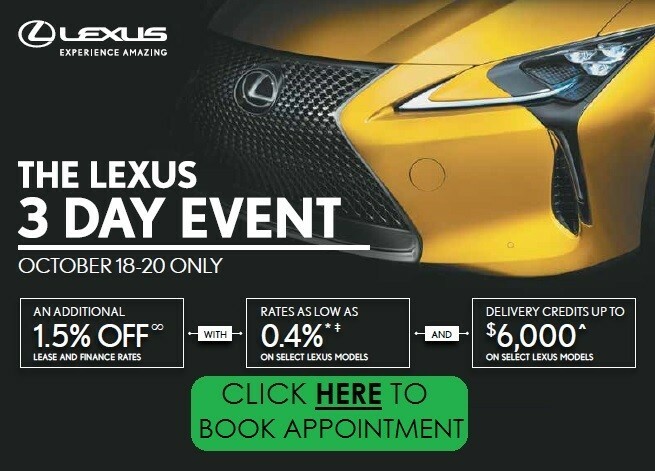 Price as tested: $52,015, including freight and options (2018 RX 350L front drive). On the Road rating: 9.2 (of a possible 10).